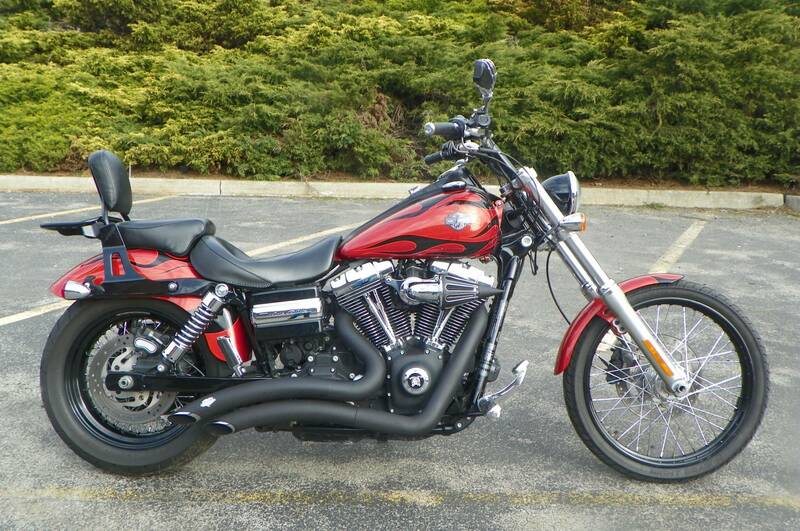 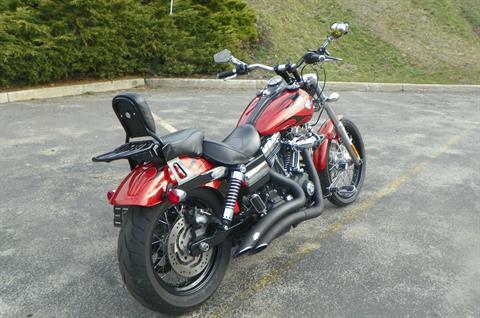 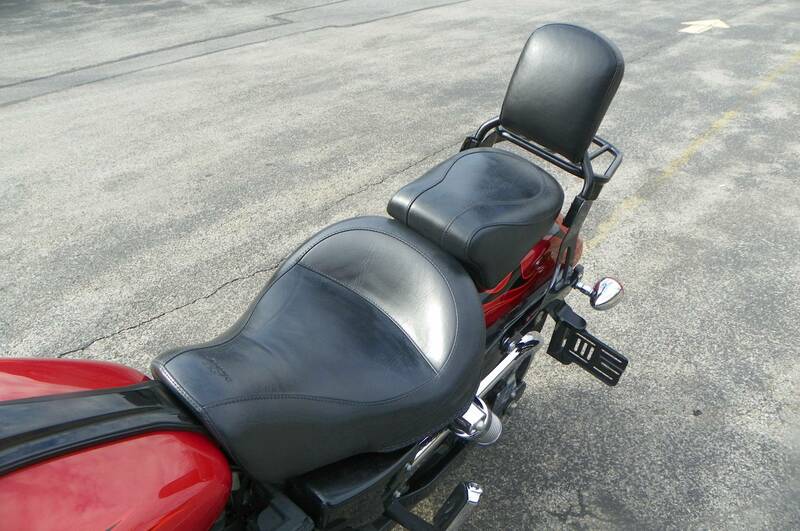 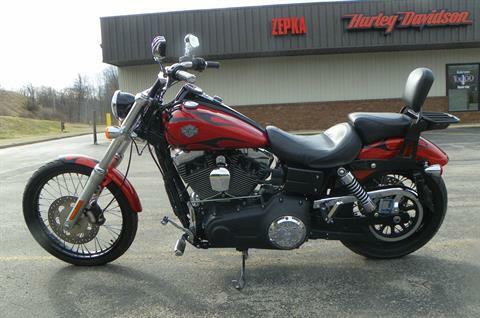 The 2011 Harley-Davidson® Dyna® Wide Glide® FXDWG is full of classic chopper motorcycle style. 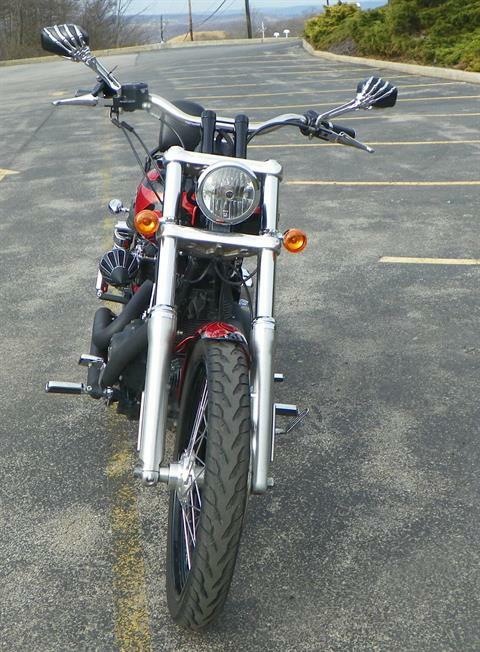 In front is a long and raked out fork with a 21 in. 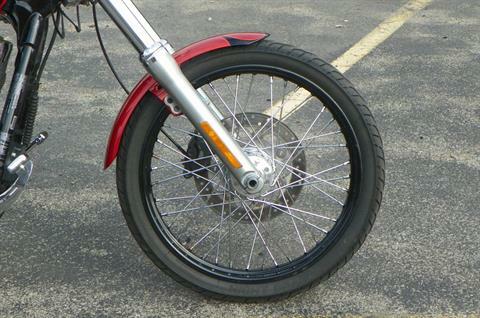 wheel, giving this model quintessential chopper motorcycle style. 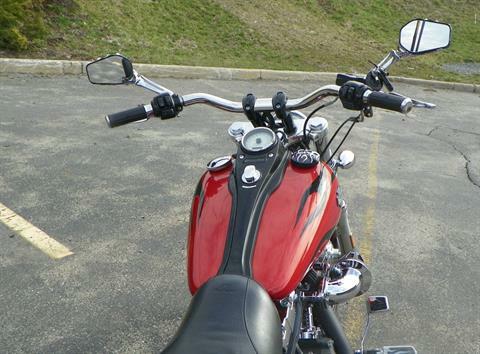 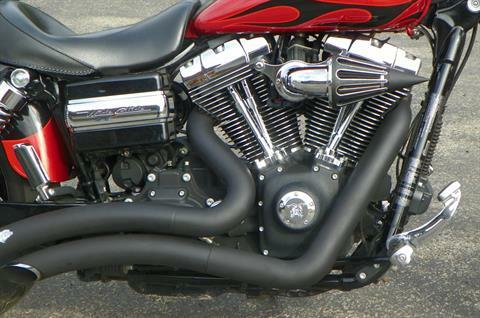 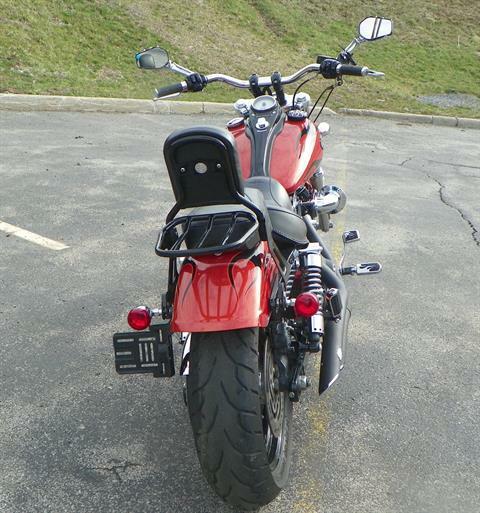 And in the back, the Harley Wide Glide features a side-mounted license plate for added custom chopper motorcycle style. Want even more factory custom style on your chopper motorcycles? This bike also features an optional classic flame design on the fuel tank. Select the flames on the Harley-Davidson Wide Glide chopper motorcycle for a factory custom look at an affordable Harley price.